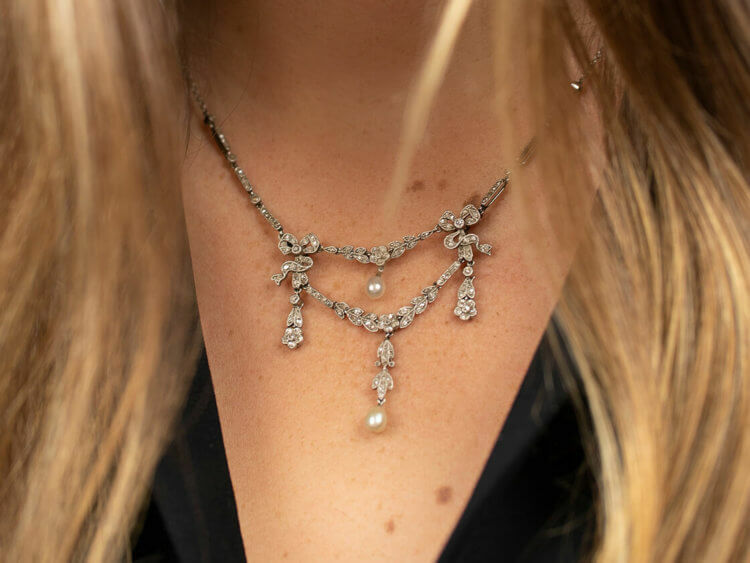 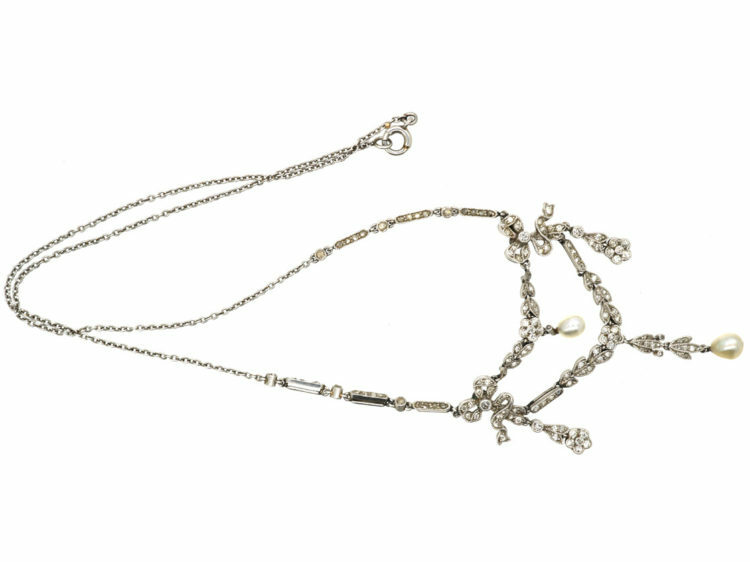 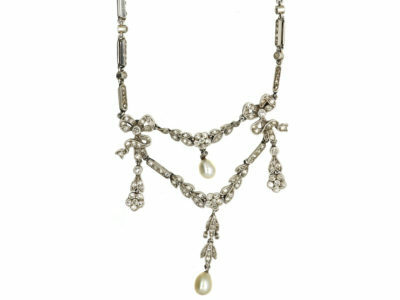 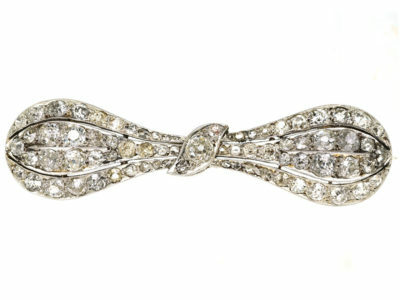 A very special platinum necklace that was made circa 1900-1910. 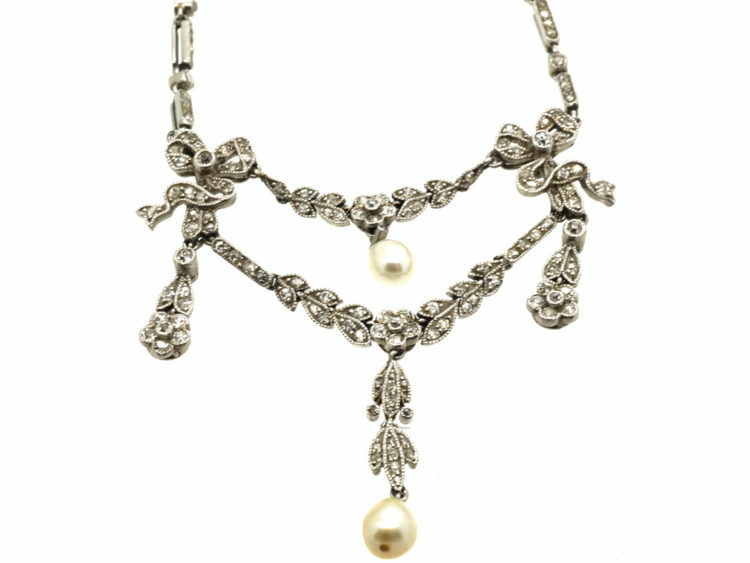 It has been beautifully made in a bows and garland design with small flowers. 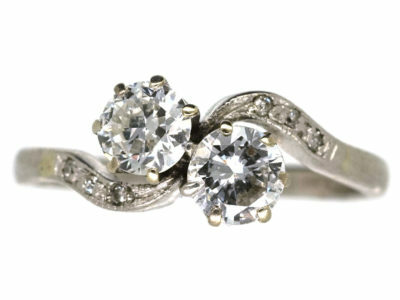 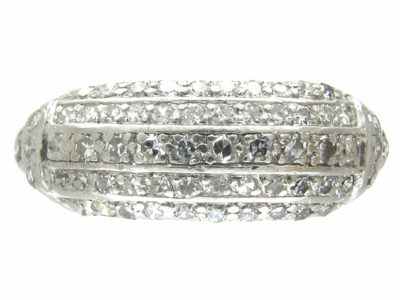 It has been set with small diamonds throughout and has two natural pearl drops. 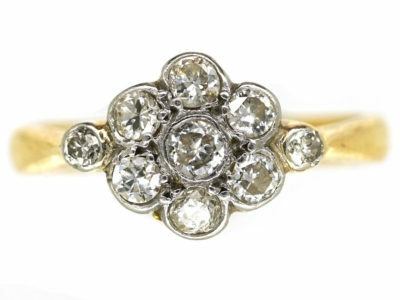 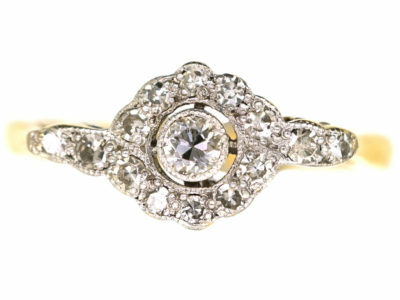 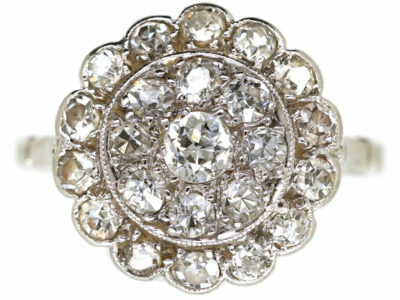 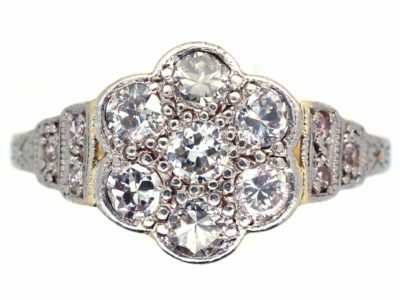 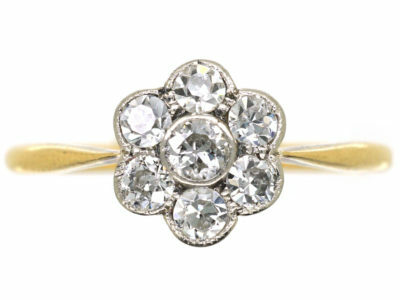 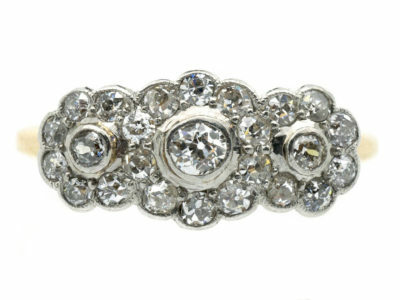 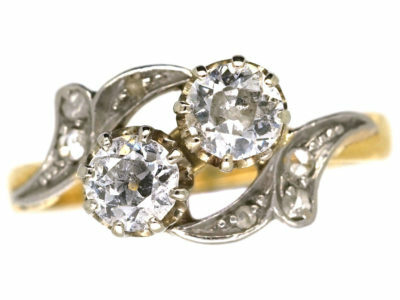 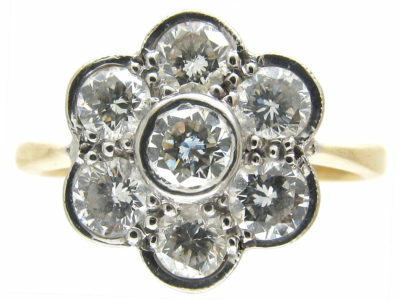 The Edwardian period was really the prettiest style in jewellery. 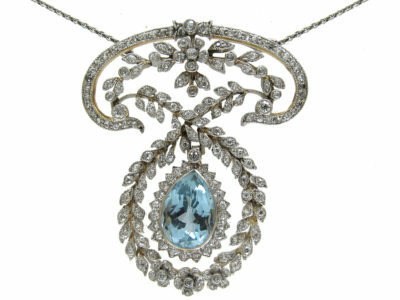 The pieces were so light looking and are still very sought after today. 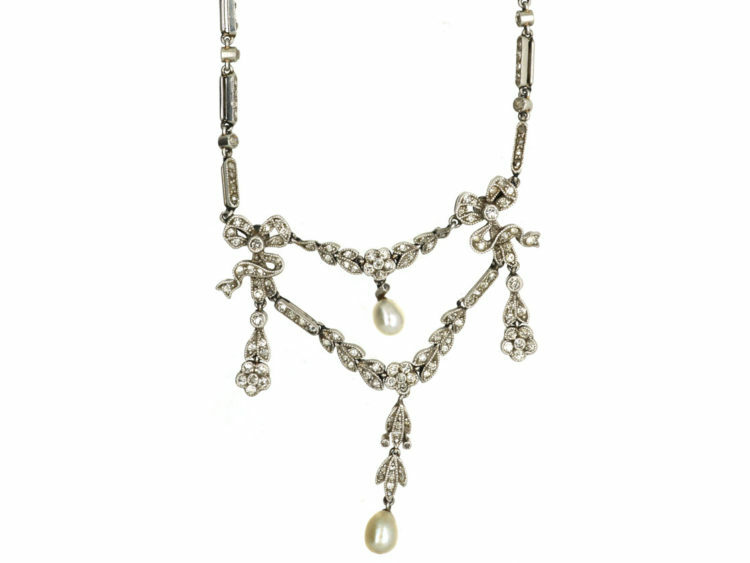 This necklace is one of the finest that I have ever come across.